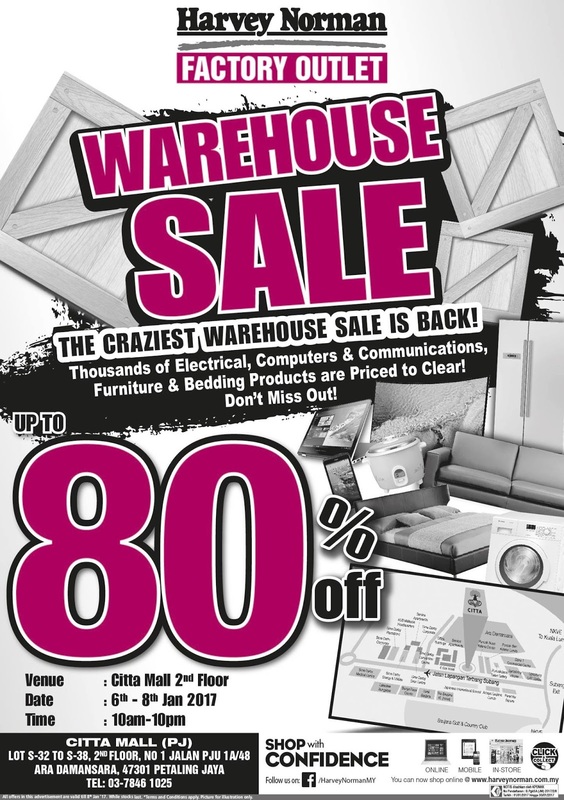 Harvey Norman Craziest Warehouse sale is back at Citta Mall. Discounted prices up to 80% in Electrical, IT, Furniture and Bedding products! Three days only from 6th - 8th January 2017. Thousands of Electrical, Computers & Communications, Furniture & Bedding Products are Priced to Clear! Don't Miss Out!